"Healthy Lighting for Happy Eyes" ... We just love that headline from the Today Show Deal page when OttLite was selected as a Deal of the Day! And here's our favorite part of the coverage, "Say goodbye to eyestrain and hello to OttLite's award-winning Glow LED Desk Lamp." This lamp has everything – incredible ClearSun LED illumination to reduce eyestrain by 51%, fun color changing base, USB port to charge devices and sleek lines and design. 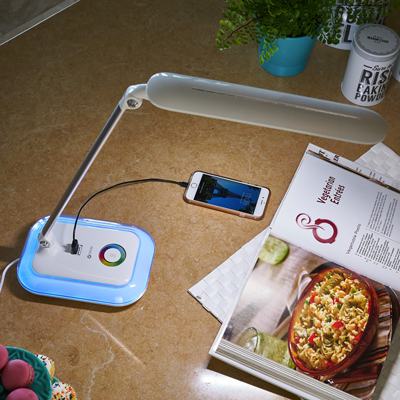 Check out more OttLite Wellness lamps so you can tell eyestrain GOOD BYE! And, be sure to visit the Today Show's Deal page to see the great deals they have going on every day!